START in Seamer on B1249, at a bench opposite the church and proceed south towards the A64. At the roundabout take a sharp left (with care) joining the A64 by-pass. Continue north on A64 to Dunslow Road TI (McDonalds) where straight ahead to Musham Bank TI. 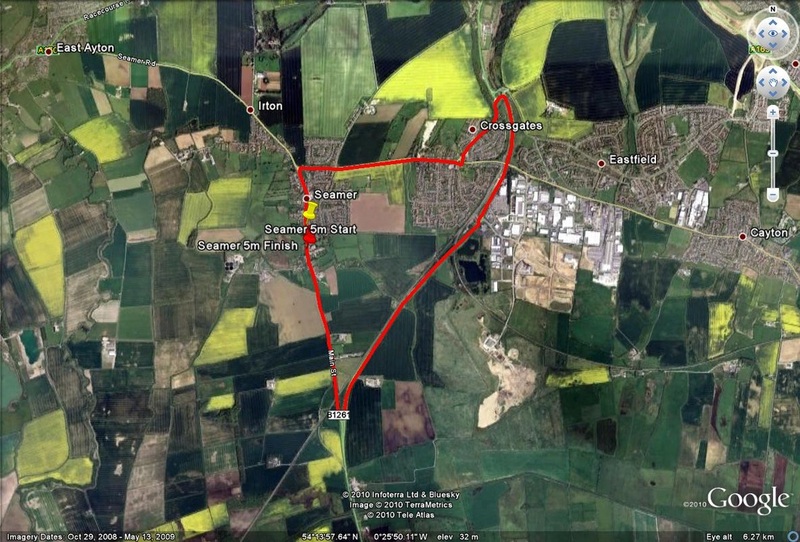 Take first exit (left) to Crossgates TI then take 3rd exit (right) on B1261 to Seamer TI (4.8 miles). Take first left through Seamer on B1249 158 yards past the start point to FINISH.